Recently, I facilitated a discussion for members of the Howard Tech Council on how to maximize your business card for marketing. It generated a conversation about the takeaways we want to create for recipients. The next time you collect business cards at a networking event, try this: put them away for a few weeks. When you view them again, do you recall details about the person or what their company does? Now, would your business card pass that test? 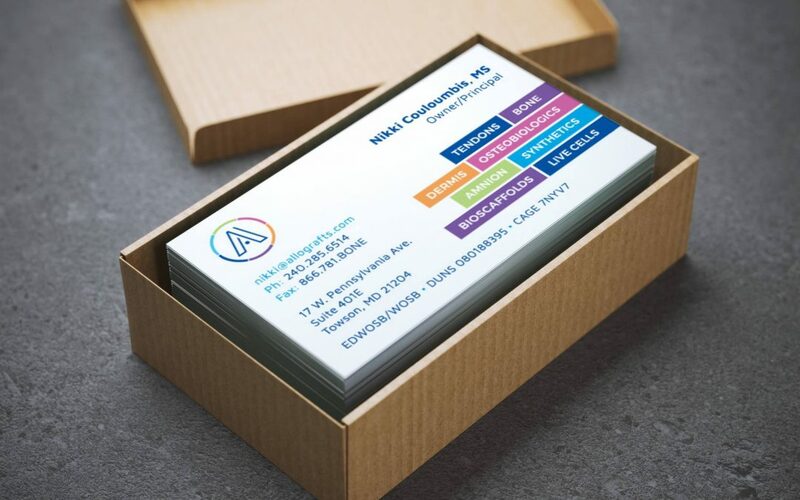 The difference between printing on just a single side or both sides of business cards is negligible, so make sure to utilize that extra space, and do so wisely! Having contact information on the front and a tagline or list of services on the reverse breaks up the details into manageable sizes for your recipients. Business cards are top of the funnel marketing–when you want to generate Awareness for your company. It’s tempting to put everything on there, but you’re really just trying to identify your target audience at a high level. If the recipient is someone who would be interested in your product or service, they will take the next step to connect with you. That will be your opportunity to have a deeper conversation. Pass the squint test: Print a test copy to make sure the information is big enough to be read easily. Keep it simple: summarize what your company offers in 1 sentence or 3-5 bullet points. Stay on brand: be sure the design (color, fonts and logo) on the card aligns with your website and other digital and printing marketing for best recognition. 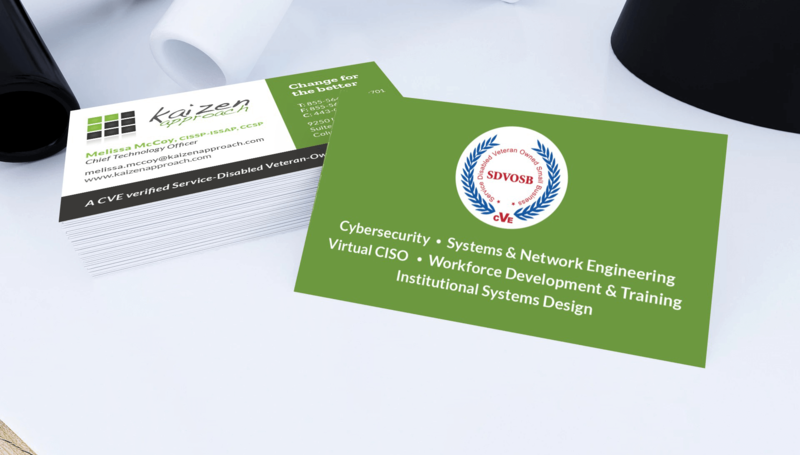 Along with a website redesign and messaging overhaul, we re-imagined the business cards for Kaizen Approach. They serve 2 distinct target audiences and wanted to create better awareness of all of the services they provide. We used the back of the card to list these services, along with highlighting their differentiator as a Service Disabled Veteran Owned Small Business (SDVOSB), an important distinction in federal government contracting bids.